This mid sixteenth century alchemical manuscript is a key source for the well known series of woodcuts in the renowned Rosarium Philosophorum which was printed at Frankfurt in 1550 in the compendium De Alchimia opuscula complura veterum philosophorum. 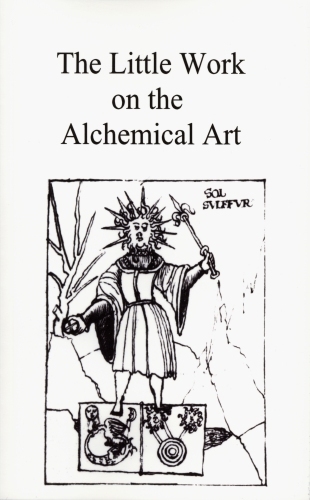 The Rosarium is essentially a fusion of two separate works - a Latin rosary, that is, a gathering of quotations from various ancient alchemical authorities under various themes, together with twenty woodcuts with short German verses. 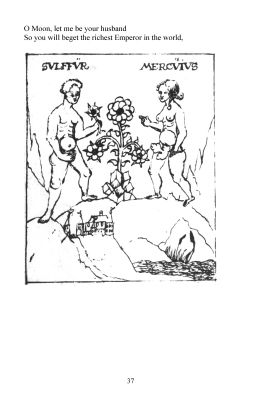 The woodcuts have now become well known as they present a coherent sequence involving a King and Queen, the sexual union of a male and female, death, descent into a tomb, rising and falling of spirits, fusion into an hermaphrodite, and a resurrection scene. 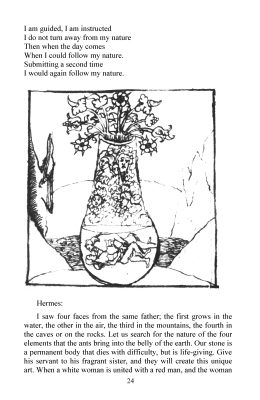 This Little Work is obviously the source for the Rosarium images. 56 pages. 40 illustrations. 8x5 inches (203x126mm) Paperback. The book is printed by Blurb.com and I have bought an initial batch. Thus copies of the paperback are available direct from myself. For any customers who might want to buy a hardbound edition, they can do this direct from Blurb, though these are rather more expensive. Click here to go to the Blurb page. You can buy the paperback direct from me using the buttons below. Price includes £1.50 postage and packing.